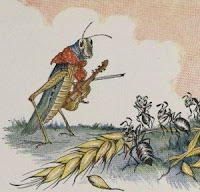 My good wife, Julie, for the very first time suggested a theme for my blog: The Ant and the Grasshopper. Like my Mother, Julie is a very wise woman and I would disregard her suggestion only at my own peril. Here is a blog on the Ant and the Grasshopper. 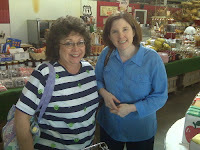 This is a picture of Julie, left, and Mary Kay Pierce, another wise woman. OLD VERSION: The ant works hard in the withering heat all summer long, building his house and laying up supplies for the winter. The Grasshopper thinks the ant is a fool and laughs and dances and plays the summer away. Come winter, the ant is warm and well fed. The grasshopper has no food or shelter, so he dies out in the cold. MORAL OF THE STORY: Be responsibile for yourself! 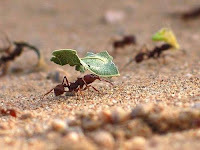 NEW VERSION: The ant works hard in the withering heat all summer long, building his house and laying up supplies for the winter. The grasshopper thinks the ant is a fool and laughs and dances and plays the summer away. Come winter, the shivering grasshopper calls a press conference and demands to know why the ant should be allowed to be warm and well fed while others are cold and starving. CBS, NBC, PBS, CNN and ABC show up to provide pictures of the shivering grasshopper next to a video of the ant in his comfortable home with a table filled with food. America is stunned by the sharp contrast. How can this be, that in a country of such wealth, this poor grasshopper is allowed to suffer so? Kermit the Frog appears on Oprah with the grasshopper and everybody cries when they sing, "It's Not Easy Being Green". Acorn stages a demostration in front of the ant's house where the news stations film the group singing "We Shall Overcome". Rev. Jeremiah Wright then has the group kneel down and pray to God for the grasshopper's sake. I heralded a warning on this subject on April 26, 2009 in a blog titled CHANGE WAS PROMISED: We're About To Get It! 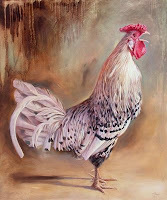 The blog was ended saying "May the good Lord help us, we ants, squirrels and honey bees! The locusts and grasshoppers are on the way, and more than a few rats, too! In 1607 the first successful English settlement was made in America by 105 men and boys. A year later only 38 had survived. Captain John Smith saved these survivors by insisting that they work or starve. The same good sense saved the settlement in Plymouth Rock. The grasshoppers were transformed into ants and were saved. We need a Captain John Smith with the wisdom and courage to say "work or starve". Otherwise we are doomed to the fate as discribed in the story Julie brought home. IS THAT REALLY POSSIBLE? We have been there before in my lifetime! 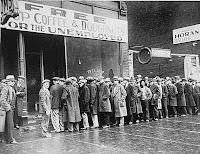 Look at this picture of a soup line in the Great Depression. Do these look like "Grasshoppers"? No, but thats what happens to Ants when the grasshoppers take over. In addition to being an ant and preparing, you might consider attending a tea party or two. At least be a good citizen and vote to make a REAL change in 2010. Consider the results of your action, or inaction. We report, you decide. I wish this comparison was just meant to be funny. 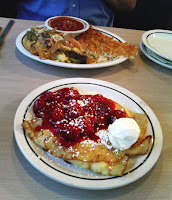 IHOP or Possum? It isn't. It is a real life comparison. A favorite family story was of my Mother getting two boys in a jon boat, who had given up on taking a fierce possum off a tree in a flood, to give her a lift out to the tree. Mom didn't try to take hold of the fierce possum. She took the limb on which he was hanging. At home she introduced the possum's neck to a poker as she jerked upward on his tail. Mom wasn't squeamish! Yup! Fat possom and dumplins in gravy is wonderful fare in a deep depression. No, Mother did not like opposum but you must consider, my Mother was a very, very wise Honey Bee! If she was happy to have a possum dont be misiled into thinking that such a thing cannot happen in your life. Yes, things are relatively good for most of us now. Things were great in the "Roaring Twenties", just before the depression came about. "I'm tired of hearing it said that democracy doesn't work. Of course it doesn't work! We are supposed to work at it".